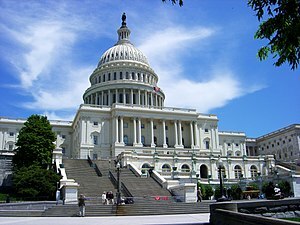 Congress passed the $8,000 tax credit extension! Congress passed an extension of the closing deadline for the Homebuyer Tax Credit, the Homebuyer Assistance and Improvement Act (H.R. 5623). The extension applies only to transactions that have signed contracts in place as of April 30, 2010, that have not yet closed. The legislation is designed to create a seamless extension; the new closing deadline for eligible transactions is now September 30, 2010. There will be no gap between June 30 and the date the President signs the bill into law. Extending the tax credit closing deadline will help provide additional stability to real estate markets across the nation. Great news for those that were not able to make the cut off of June 30th due to the backlog this created. Rent or buy? What works best for you? First time home buyers have a lot to consider this summer when making the decision to rent or buy a home: interest rates are at all-time lows and prices are at or near their lowest in years. Still, deciding whether to buy a home or rent an apartment can be a complicated decision. How do you know what’s right for you? Potential buyers should ask themselves several key questions before making this important decision. 1. What will monthly costs be, and can I afford the payments? Keeping mortgage payments under 30 percent of your monthly income is a good rule of thumb. If you can’t keep mortgage payments below that, you may be better off renting for awhile. 2. What other debt do I have? Total rent or mortgage payments plus credit obligations should not exceed 35 to 40 percent of monthly income. Talk to your lender and they will help you get ready to buy a home. 3. What is my credit score? Can I qualify for a good interest rate? A high credit score indicates strong creditworthiness, and that qualifies you for better interest rates on a mortgage. Maxing out on your credit lines and paying bills late will lower your credit score. The impact of a credit score on interest rates can be significant. For instance, a borrower with a score of 760 could pay nearly two percentage points less in interest on a mortgage than someone with a score of 620. Lower interest rates also mean lower monthly payments. If your credit score is low, you may want to delay buying a home until you can improve your score. Work with your lender, they can tell you what to do to improve your credit score. Don’t have a lender? Ask your Realtor, they can refer you one or more lenders that they work with. 4. How much will taxes, monthly maintenance, or other fees cost? Owning a home means you’ll have to pay real estate taxes and other costs like insurance and maintenance. On the other hand, owning a home brings big tax savings at the end of the year. 5. How many years will I stay here? Generally, the longer you plan to live someplace, the more it makes sense to buy. You’ll build equity in your home and have the satisfaction of knowing it is yours and you can paint or redecorate any way you want. There have also been studies that show children do better in school if the parents are homeowners. If you need any help with this decision, your Realtor or Lender can provide you with a Rent vs Buy analysis form. If you remember I was writing about a wonderful energy efficient loan program where you could purchase solar, heating and air conditioning units and other energy efficient items for your home and pay for them in your property tax bill. This is the MPower Loans in Placer County, CA. It’s a great program as the energy efficient loan is amortized out the life of the item you are purchasing. 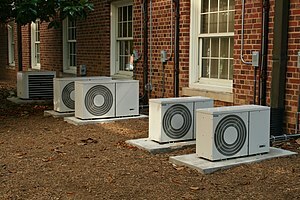 Say a heating and air conditioning unit will be amortized out over 20 years. So you have 20 years to pay if off and you are billed with your property taxes. Great idea right? Well, there is a problem. Since the property taxes take precedence over any voluntary loans, aka your existing lender, you have to get your existing lender to approve the MPower loan to be in first position, instead of your existing lender. So, what do you think the chances of that happening are? Slim and none. The banks are not allowing MPower loans to be first so everything is on hold until there is some kind of solution to this issue. It is a shame because it is a great program. MPower has written letters to several Congressmen and the Vice President of the United States to see if they can get some kind of an approval from these existing lenders that are insured with Fannie Mae. I will keep you posted as to any new developments. It is very active in Placer and Sacramento county for any homes priced under $300,000. There are multiple bids as investors and first time home buyers are trying to purchase the same properties. The listing inventory is down to 1.5 month supply. That means it is a Sellers market. The listing inventory needs to be at 6 months for it to be an equal market between Sellers and Buyers. The price of homes has increased 4% over the last month so home prices are starting to tic up. If you are a buyer and thinking of purchasing a home right now and it is priced under $300,000 you need to make an agressive offer. Especially if you are asking the Seller to pay up to 3 percent for your closing costs. You have to have an offer that is going to compete with an all cash offer that can close is 10 days or sometimes even less. On the positive side, interest rates are GREAT! You can get a loan under 5% right now depending on your credit score of course. Of course you need to prove your income, just like it used to be before the No income, no asset loans. But hey, right now it is like the perfect storm. Reasonable prices on the homes and great interest rates! What more could you want? Energy Efficient loan with NO monthly payments! Yes, that’s right, no monthly payments. You can get an energy efficient loan for Solar, heating and air conditioning systems, attic and wall insulation, windows and several other energy efficient improvements. The criteria for this loan is pretty straight forward. You must be the property owner, current on your mortgage, current on your property taxes and not had a Bankruptcy within 5 years. There is no credit check required. No monthly payments as the payments are due when you pay your property taxes. You can get 10, 15, 20, and even 30 year loan payments depending on the life of the improvement. This loan does not need to be paid off if you sell your property as it goes with the property. This is a great program if you plan on staying in your current home and want to remodel or if you are thinking of selling an older property but don’t have the cash to upgrade the property with energy efficient improvements.